"How might your life have been different if there had been a place for you? 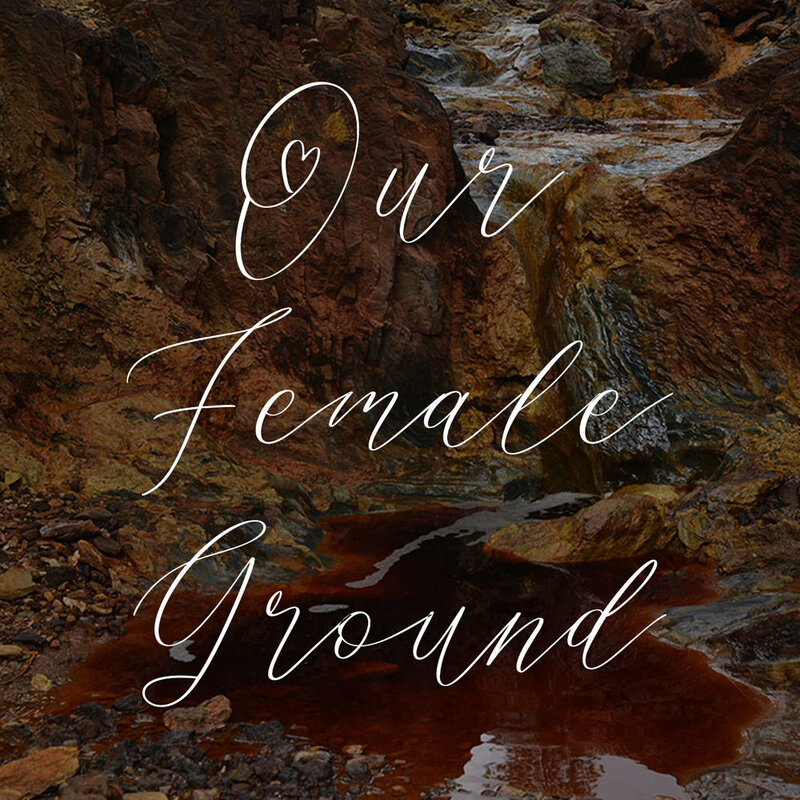 A place for you to go… a place of women, to help you learn the ways of woman… a place where you were nurtured from an ancient flow sustaining you and steadying you as you sought to become yourself. A place of women to help you find and trust the ancient flow already there within yourself… waiting to be released… A place of women… How might your life be different?" The ancient yet timeless ways of women are related to our blood. Our births, our periods beginning, our monthly flow, our childbirths and our menopause are natural ways our bodies initiate us into new phases. We can use these transitions to let go of what is no longer needed and replenish ourselves. They offer connection to our deepest levels of knowing and the chance to create our lives from this place. We can take care of new seeds, birth our visions and let go of dead wood when the time is right. We are remembering this wisdom at this time. We are free to talk openly about such things which have been taboo for a long time, probably because of the power contained within them. Reconnecting with the Women's Mysteries offers a map and a deeper appreciation of the creative energy of nature which is reflected in our bodies. This energy is affecting us whether we acknowledge it or not, so taking time to understand and allow ourselves to work with life in this way can be healing and call forth freedom of self expression, creativity and authenticity. We can work with this energy to grow in self awareness and heal our wounds. We can resolve patterns that limit us and strengthen our inner resources and outer community. Our history would have been one of sitting together to hear and hold one another, of following the moon and of deeply understanding the relationship of our bodies to nature. I believe we are in a place in history of re-membering the wisdom and power of the sacred feminine that in earlier times would have formed the bedrock of our culture. Way back, as young ones, we would have grown witnessing our mothers and elders facilitate transformation in a day to day way in our community. Most nature based peoples honoured the practice of retreat during the bleeding time in the cycle, also known as "Moonlodge". The community supported women to take time away from daily life as they bled to rest, dream and bring visions back for the health of themselves and the people. Young women were honoured and initiated at the time of first bleeding. They were welcomed into the wisdom of the motherline with respect for the insight, intuition, fertility and strength they were stepping into. Closely connected to the cycles of the seasons and the moon, it is likely women would have lived through their life seasons understanding their connection to nature and the rhythm of growth, full bloom and decay that plays out on many levels in our lives. It is probable that old people were respected wise elders, who, as initiated women had access to their own knowing and could support others to find the same. There is powerful historical evidence that women played an important role in the spiritual lives of their communities and were often highly valued members of society, having high status and holding priestess and shamaness roles. Teaching about the Women's Mysteries is about making this relavant to our current time. The work I share is not linear. My respect and experiences with this work are like a deep thread that informs all my practice. A warm welcome to this opportunity to gather together and connect more fully with our inner wisdom and power. Teachings from Women's mystery traditions are woven with nourishment, ceremony and spaciousness to create a day of inspiration and celebration of life. Step into full creative expression and move through stagnant patterns by harnessing the energy of the cycles that govern our lives. Cultivate what you want to grow and renew your connection to Life. Sit in circle and remember what is really important to you. Celebrating, nourishing, learning, healing, replenishing and nurturing..... in good company and with skillful support. UPCOMING DATES: To be confirmed after maternity leave. in a group of women, across a year. This program is now in flow but please contact me if you are interested for ways to connect with this work and to go on a waiting list for 2020 as due to my maternity leave there is no new intake for 2019. Join us in a journey of discovery and healing. Over the course of the year we will explore some of the many facets of the feminine experience. This is a closed group so no new people will join after the first session. We realise that this is a big commitment so we are happy to offer up to an hour's time with you to ascertain whether this is the right experience for you at this time. We are offering an opportunity to deepen our understanding of the nature of our relationship and commitment to ourselves and others in the world. The gatherings draw on the ancient potency of circle, ceremony and connection to nature. They are held with love and the powerful intention for healing and reconnection to an authentic sense of self. There is time to share, listen, move and follow what is real and current in your life. We welcome all of who you are and set up an environment of genuine acceptance and respect for the stories we all carry whilst working to support you to make the changes you wish to see in your life. We will have the chance to explore how we are using our energy in our own lives and how this affects us and others. We will look at how we can get caught in old destructive survival based behaviours and see how they may no longer serve us. The way we present within the group and the reflections and feedback from others can offer a unique potential for deep change and transformation. There will be the opportunity to explore who we really are and to discover more about what the blocks may be to us being more fully all of who are can be in life. COOTHAM, WEST SUSSEX. NON RESIDENTIAL. The gatherings will offer experienced facilitation and support from Tatiana Shuttleworth and Jill Kettle. Tatiana Shuttleworth is a grandmother and elder. She is a very experienced psychotherapist with a joyous warmth and enormous set of skills to draw from. She has been running couple's workshops, women's groups and retreats for women for over fifteen years and has been working with families experiencing difficulties for over 30 years. She has a particular interest in exploring how patterns are played out through the generations. For further information about her work, you can find it here. I have many years of experience leading women's circles and I draw on my Shadow Work background to support women understand, reframe and resolve painful dynamics. Tatiana and I are both influenced by years of Shamanic studies and weave this understanding and experience into our weekends. For any more details please get in touch. Please note that for the July and September gatherings there will be the option to camp at the venue which houses a Red Yurt women's space during the warmer months. We understand that life can throw curve balls and attendance at all weekends may not be possible in the event of an emergency. However there is a clear request to commit to all four sessions as it impacts the group when women are absent.